European Council President Donald Tusk lists US President, terror, radical Islam as threats to EU, says Union must remain. European Council President Donald Tusk called US President Donald Trump an 'existential threat' to Europe Tuesday. 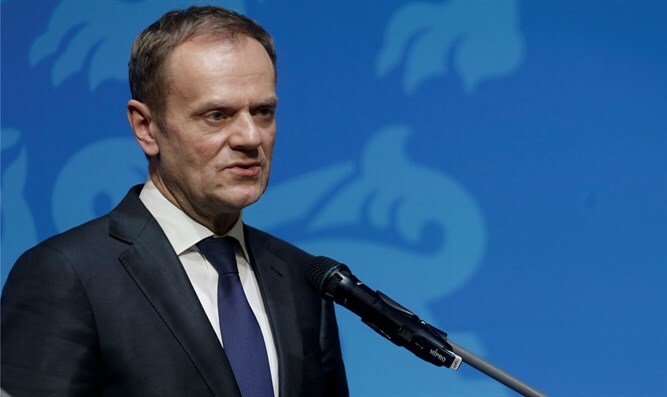 Tusk wrote an open letter to the leaders of 27 Council member states, in which he listed the US President as a "threat" to the European Union alongside China, Russia, radical Islam, war, and terrorism. “Particularly the change in Washington puts the European Union in a difficult situation; with the new administration seeming to put into question the last 70 years of American foreign policy,” Tusk said. Many European leaders have condemned President Trump's executive order banning nationals of seven countries from entering to the US.